Local SEO has become a major part of overall Search Engine Optimization (SEO). There are millions of businesses globally and in the United States who operate locally and need to make use of Local SEO tools to succeed. In this article, we are going to list a selection of Local Marketing Automation tools that can make your life easier if you’re a local business or local marketer. 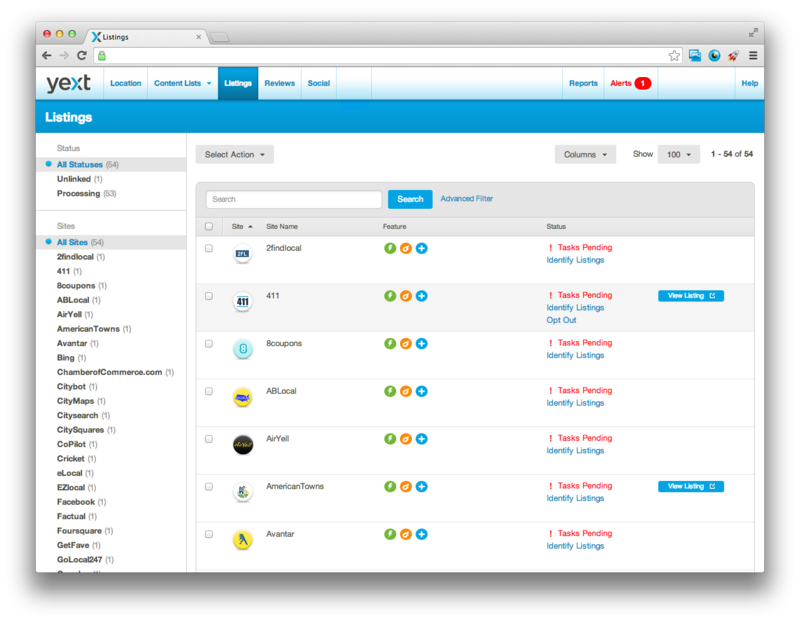 Yext is probably the oldest and most popular local marketing software solution. They offer a set of tools that will help you get listed in 50+ of their network directories and partners. The greatest benefit of Yext is their speed of execution. Unlike other services that are manual or semi-automated, Yext is a 100% automated solution that will instantly sync your data. Their pricing starts at $450/year for every location. You can start using the product by running a free scan on their website. First in our list is Synup, which is probably the most comprehensive and easy to use Local Marketing software out there. The best part about this service is that’s it’s free to try and use with premium plans starting at $2 per month. You can register for the product and read more about them at their website. Moz Local which was previously known as GetListed.org is another important tool that should be part of your Local Marketing arsenal. 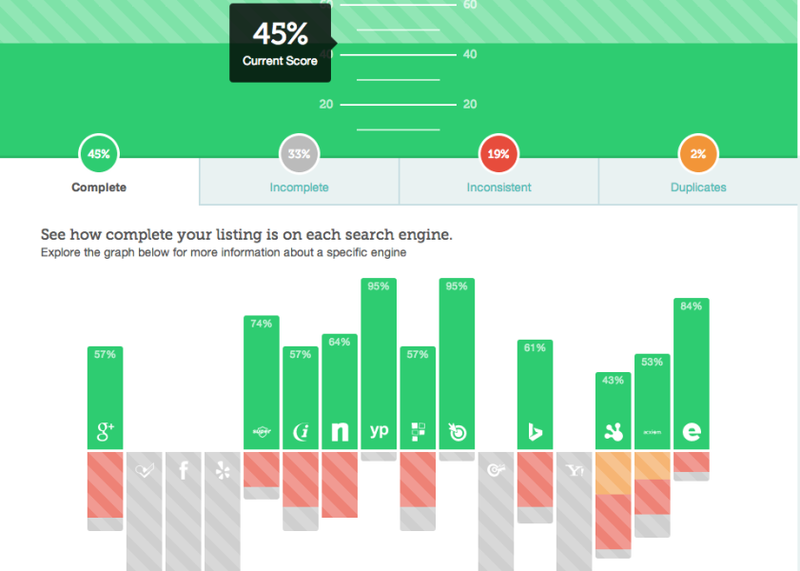 The software is part of the larger and more popular Moz suite of marketing products. Moz Local is priced at $85/year for every business location. You can run a free scan of your business on their website. Vendasta is a local reputation monitoring and management system that is primarily targeted at large franchises and marketing agencies. Vendasta is priced at $65/mo per location. 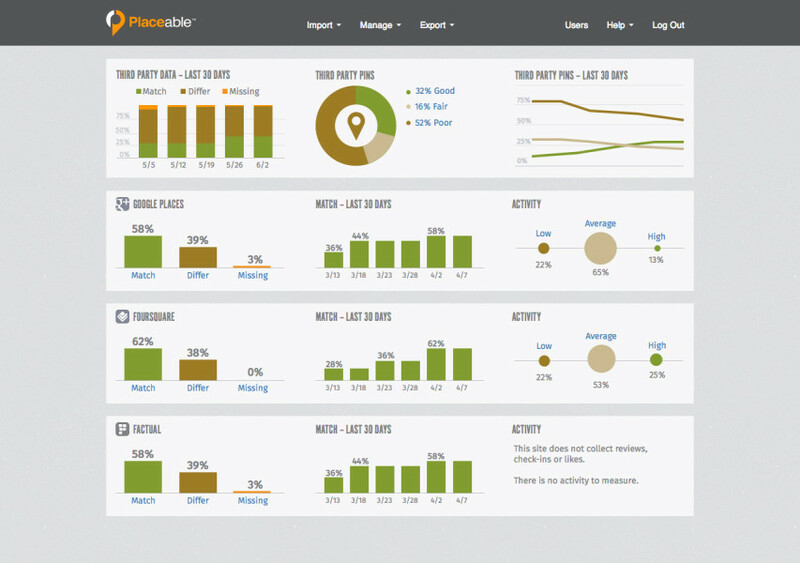 Placeable is a platform that helps large brands manage consistent local data across different local search engines and directories. They offer an interface where customers can add their locations, mark them for accuracy and syndicate it back to major providers. LocalEze is one of the three major aggregators of local data information on the web and distribute local data to all of the major directories and search engines. On a monthly basis, you can provide LocalEze with a feed of your locations and they will update this information on these sites and provide you with reporting on what has been done. The biggest plus with this service is the reach they have in terms of the number of places they can submit to. But, the biggest disadvantage is that there is no guarantee of distribution and the process takes very long to complete. The pricing for their service varies on the number of locations you are submitting on a yearly basis. 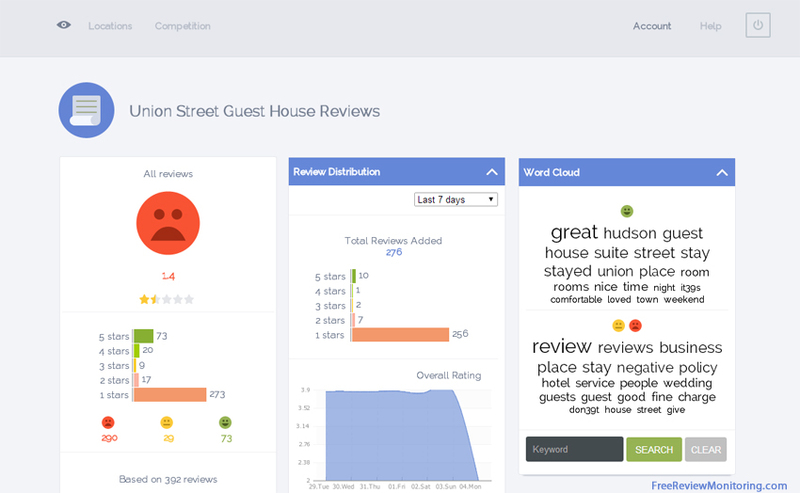 ReviewTrackers offers solutions that help businesses monitor reviews on different local directories including Google, Yelp and Yahoo as well as industry specific sites such as TripAdvisor and OpenTable. They are the oldest review monitoring platform out there and have been offering services for over three years now. Their pricing starts at $29 per location per month. Universal Business Listing (UBL) syndicates your business information and data to multiple directories and search engines. Unlike data aggregators, UBL manually submits and claims your information on major directories and search engines. This is far more beneficial than using a standard data aggregator type service. Free Review Monitoring is a service that will monitor your reviews for you at no cost. This service is very useful if you’re on a budget and have just a single or two businesses that you monitor reviews for. 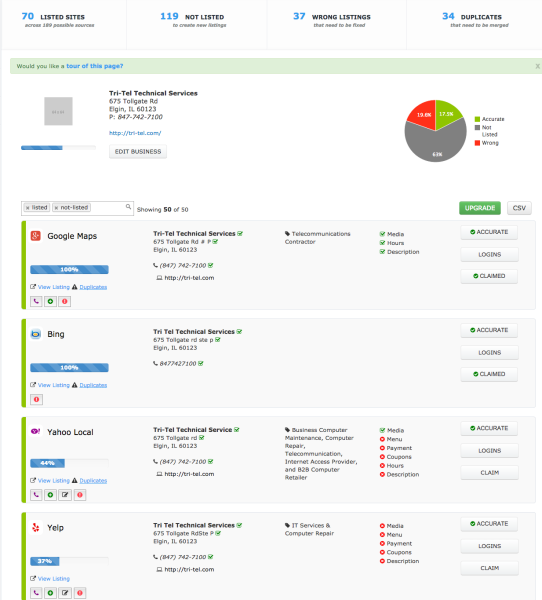 Beyond three locations, Free Review Monitoring has plans that cost a monthly fee for usage. 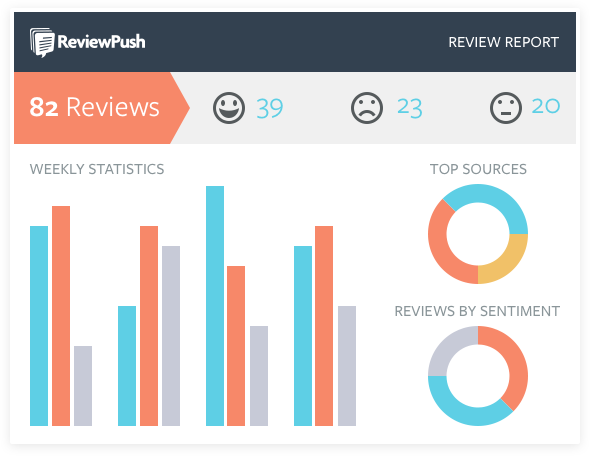 ReviewPush is another review monitoring solution similar to ReviewTrackers. They also offer review monitoring on the major local directories as well as notify you via email every time a new review is posted. Their pricing starts at $29 per location per month with bulk discounts available. Have We Finally Figured Out A Way To Measure Content Marketing?